Feeling a bit overwhelmed by legalese? Image c/o http://www.useit.com/alertbox/9605.html. 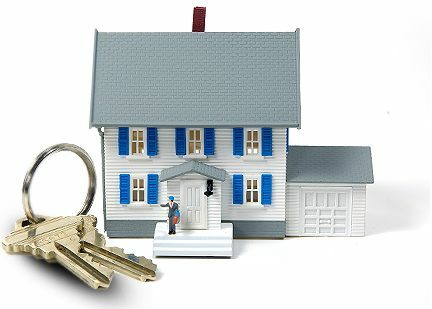 In common parlance, everyone refers to the bank’s lien on their property as a “mortgage,” but twenty states and the District of Columbia no longer secure loans with mortgages, instead using a “deed of trust.” This is a brief overview of the general difference between the two, followed by a general explanation of the terms of a deed of trust. State laws vary, so as always, consult an attorney in your state if you have a specific question about how these documents relate to your specific situation. First things first: When a borrower obtain a loan on a house, the amount of the loan is generally fairly large. As a result, the lender obtains a lien on the borrower’s home at the time of closing to protect its interest in the event the borrower doesn’t pay the bill. Whereas not paying a credit card bill simply results in poor credit for a few years, the lender can use that lien to force a sale of the house (a.k.a., foreclosure) in order to pay the loan. Obviously, we don’t want people routinely thrown out of their homes, so we have laws to make sure that foreclosure occurs only when necessary, and then there are strict requirements on how the foreclosure occurs. Jurisdictions will also have laws protecting the homeowner, such as providing a right to redemption in which the borrower can interrupt the foreclosure process by getting the bill up to date before the foreclosure sale is final. So how does the lender obtain a lien on a property? At the time of closing, they and the borrower sign a mortgage document, which is a two-party document (i.e., the borrower and the lender). This is a document that describes the circumstances constituting “default,” which triggers the lender’s right to initiate foreclosure, as well the borrower’s rights under federal and state law during a foreclosure. The mortgage document is “recorded” (i.e., filed) with the county in which the property is located. After it’s processed by the county government, the original mortgage document is returned to the lender, who holds it until the loan is paid in full. In Alaska, Arizona, Arkansas, California, Colorado, the District of Columbia, Idaho, Maryland, Mississippi, Missouri, Montana, Nebraska, Nevada, North Carolina, Oregon, Tennessee, Texas, Utah, Virginia, Washington, and West Virginia, the deed of trust is the preferred method to secure a loan on real property. The deed of trust arose in part because our economy is now national in scope. If the borrower lives in Virginia, but the lender is in Utah, the lender would have a tougher time initiating and monitoring the foreclosure process if the borrower defaulted on the loan. They’re far away and lack the expertise to do so. Enter the deed of trust, which is a three-party document. Instead of holding on to the mortgage document, the lender instead has the borrower sign a deed of trust that appoints a third party, a “trustee.” The trustee would be located in Virginia (or at least nearby), and would be very familiar with Virginia-based laws and procedures. Being local, they could also respond more quickly and more efficiently than the lender could. The most important difference between the deed of trust and the mortgage is that the deed of trust allows for a faster foreclosure process. This is because the deed of trust provides for non-judicial foreclosures in states that allow them. This means that the foreclosure can occur without a judge actually signing off on the process. Instead, the trustee provides public notice of the foreclosure sale, then performs that sale. Judges don’t need to be involved at all. Should a Borrower Read the Deed of Trust? The short answer is yes, but not at the closing table. There are a couple of different forms, but overall, they’re all standard documents that say largely the same thing. The differences between the versions are in how much detail they go into with respect to the laws governing the process, as well as incorporating state-law-based idiosyncrasies, but the laws are largely the same from a non-lawyer’s point of view. Moreover, because they’re standard documents, it’s almost certain that if the borrower is refinancing an existing loan, the borrower is already subject to same terms on the current loan, and those same terms will apply to any other (legitimate) lender the borrower uses. In other words, the terms of the deed of trust are identical regardless of who grants the loan, so the borrower can’t really “shop around” for a better deed of trust. If the borrower insists on reading the deed of trust, that’s their right, and the borrower shouldn’t apologize for doing so, but the borrower should request a copy of the document before closing. The deed of trust is almost always the longest document in the closing package, and the print is in a small font. Reading the deed of trust and asking questions about it could take up to an hour by itself. The better idea is to get a copy of the document ahead of time. Just in case a lender doesn’t provide a copy of the deed of trust before closing and doesn’t take the time to explain the terms, I’m going to go over many of the terms in the following section. If you can’t make it through this article, you sure won’t be able to make it through the actual deed of trust. What Does the Deed of Trust Say? There are difference between the deeds of trust used in different states, so obviously I can’t explain every single term that might appear in any deed of trust. Instead, I’m going to summarize some of the terms appearing in the Virginia Uniform Deed of Trust. Deeds of trust for all of the states can be obtained by visiting the Fannie Mae download site. This section identifies the parties (the borrower, the lender, and the trustee), some of the important documents (the note), any riders (i.e., attachments) to the deed of trust, the relevant law, and other important terms used throughout the deed of trust. As for riders, remember that this is a standard document used with all properties. Because not all properties are, for example, subject to a homeowners’ association (“HOA”), if a property has an HOA, the deed of trust will have an attachment covering the borrower’s promises with respect to that HOA. I discuss riders in more detail at the end of this article. This section identifies the property, and represents the borrower’s claim of actual ownership of the property, and therefore indicates that the borrower has the right to grant this lien. The borrower promises to pay the home loan as promised in the Note, and if the check bounces, the lender can require the borrower to pay by guaranteed funds (e.g., certified check) going forward. A payment received first pays down the interest currently due, then the principal due, and then the amount that’s supposed to go into an escrow account if the borrower has one. The escrow account is the account from which the lender pays the annual homeowners’ insurance premium and the property taxes. This describes the escrow account. The borrower promises to clear up any problems that arise that could result in a lien on the property (e.g., unpaid taxes, HOA dues, etc.). Again, the lender wants their deed of trust to be the only lien on the property. The borrower agrees to maintain a homeowners’ insurance policy on the property, even if the lender doesn’t require an escrow account for the loan, and that policy must meet the lender’s requirements. If the borrower doesn’t abide by this term, the lender might do it and add the cost to the borrower’s principal balance. The borrower promises to occupy the property as a primary residence. If the borrower doesn’t plan to do so, there will be a rider (see below) that amends the deed of trust to alter this term. The borrower promises not to destroy the property. If the property is damaged, it lowers the value of the property, which means the loan isn’t really secure anymore. That is, if the property is foreclosed, the amount the lender gets during the sale won’t be enough to cover the remaining balance due. The lender doesn’t want that. The borrower promises that neither the borrower, nor anyone acting on behalf of the borrower, lied on the loan application. If the borrower violates any of the terms, the borrower agrees that the lender is permitted to take action to fix the problem created by the violation (e.g., resolve a lien by a third party by paying the amount due to the third party, repair the property). If this costs the lender money, the lender will add that to the principal balance. If the borrower is required to get mortgage insurance, the borrower agrees to pay those premiums. If a third party damages the property, thus lowering its value, and the third party pays the borrower for the damages, the borrower promises to apply those payments to repair the property. If the payments are greater than what was needed to pay for the repairs, the borrower agrees to pay the excess balance to the lender to pay down the loan further even if there’s currently no payment due. If the lender agrees to give the borrower a break by letting the borrower delay a payment, that doesn’t change the rights the lender has under the agreement. That is, if the lender says the borrower can skip a month of paying, the borrower will still incur interest, will still have to resume payments, and will still owe the balance due. Plus, the lender will be under no obligation to give the borrower another break if the borrower is ever late again. If more than one borrower signed the Note, each borrower is completely responsible for the full debt. This is called “joint and several liability.” This means that if the bank wants to sue for the money it’s owed under the Note, it can sue any one borrower and recover the full amount of the debt. Then it’s up to all the borrowers to sue each other to determine how much each borrower owes. Example: Three borrowers each own a 1/3 interest in a home, and they don’t pay. The balance due is $300,000. Each owner owes $100,000, but the bank doesn’t have to worry about that. The bank sues one of three borrowers for $300,000, and it’s up to that borrower to sue the other ones for $100,000 each. This is an important right for the bank to have because the other two borrowers might have left the country. If the borrower defaults on the loan, the lender reserves the right to charge the borrower any attorney fees or property inspection fees necessary to compensate the lender for the consequences of that default. If either the lender or the borrower need to notify one another with respect to the deed of trust, that notification must be in writing. This is standard legalese appearing in most contracts. It identifies the law that governs interpretation of the deed of trust (i.e., the state in which the property is located), and includes a severability clause (i.e., if one term of the Deed of Trust is ruled to be illegal, then that term is invalid, but the rest of the Deed of Trust still applies). It also says that certain words shouldn’t be taken literally. For example, if the Deed of Trust says “him,” but the borrower is female, then “him” refers to the borrower even though it’s a masculine term. The borrower must be given a copy of the Note. If one of the borrowers transfers ownership to another person, the lender reserves the right to demand immediate payment of all monies currently due. This is a tricky provision. Many times, the lender won’t approve a loan if a certain person is one of the borrowers. What many settlement companies and attorneys do is conduct the closing without that person, then after the closing is final, use a deed to make that person an owner (i.e., “put that person on title”). This happens all the time, but technically it means that the lender can say, “The deal is off! Pay up!” I’ve never seen it happen because most lenders couldn’t care less, but the danger exists. If the borrower defaults and foreclosure begins, but the borrower somehow puts together enough money to pay all overdue amounts, late fees, and attorneys’ fees, then the borrower can pay that to the lender (using guaranteed funds, like a cashier’s check), and that will stop foreclosure. There are conditions on when this remedy is available, though, and what I just discussed in paragraph 18 is not a situation in which this remedy is available. The Note can be sold. In that case, a new lender takes over the debt, and the borrower now owes the remaining money to that new lender. Of course, the lender must inform borrower if the borrower now has to send payments to a new lender. This is another tricky paragraph. What it means is that a borrower may not turn the property into a gas station, dynamite factory, or in any other way store hazardous materials on the property. There’s an exception for small quantities that are deemed “normal,” but that’s a bit vague, so if the borrower is a survivalist that has more than “normal” amounts of gasoline, that borrower could get into some trouble. If the borrower defaults on the loan, the lender will notify the borrower of the default and give the borrower time to “cure” the default. If the borrower doesn’t cure the default at time, the loan is “accelerated,” which means to current balance due is due immediately. If it isn’t paid, the process of foreclosure begins. The process of foreclosure is then described. When the deed of trust is paid in full, whether due to a refinancing of the loan or the payments being completed, the lender files a certificate with the relevant court. There’s a cost to record this “Certificate of Satisfaction,” and the borrower pays it. The lender may assign a new trustee at any time to replace the current one. Lastly, right before the signatures, there’s a notice: If for any reason the borrower no longer owns the property, the amount remaining on the note must be paid in full as a condition of the sale. The deed of trust is a standard document. Because not everyone has, for example, a homeowners association, or lives in a condominium, those matters are handled by way of riders. This is an attachment that becomes part of the deed of trust because the relevant check box is selected under paragraph (H), “Riders.” Riders can be viewed at the Fannie Mae Riders Download Site. Adjustable Rate Rider: If a loan has an adjustable rate, this rider describes it. This is largely what’s already written on the Note, but because it affects how the debt is paid, it has to appear here, too. Balloon Rider: Some loans have monthly payments for only a few years, than at the end of that period, there’s a very large amount left over which is paid all at once. For example, let’s say the borrower has a $200,000 loan with a 5% interest rate. If the borrower paid $1,073.64 per month for 120 months (i.e., 10 years), then on the 121st month, the borrower owes the remaining balance all at once ($163,758.35). As with an adjustable interest rate, a balloon payment must be explained here. If you’re interested, here’s a balloon mortgage calculator. 1-4 Family Rider: This is for investment properties. If the borrower rents out the property to tenants, then the borrower agree to transfer the status of “landlord” to the lender if the lender is forced to foreclose. Condominium Rider: The borrower agrees to abide by the terms of a condominium association. Planned Unit Development Rider: The borrower agrees to abide by the terms of a homeowners’ association. Biweekly Payment Reminder: This recognizes that the normal monthly payment will be split up into two payments so that the borrower is paying a smaller amount but a payment is due every 14 days. By the way, this isn’t a bad idea. Without paying any more per month than a regular 30-year mortgage, the borrower finishes paying the mortgage in less than 25 years, paying a lot less interest along the way. Second Home Rider: This is simply acknowledging that this is a second home, but not one the borrower plans to rent to other people. An example of this would be having a home at the beach where the borrower spends summers. Other: Anything else the lender can dream up for the borrower. Well, that’s it. That’s most of the deed of trust in as simple language as I (or anyone, probably) can muster. I hope that’s helpful, but if not, as I said above, the actual deed of trust won’t be any easier to understand. In any case, if you have specific questions as to how the deed of trust affects your personal situation, please contact an attorney. It’s July, which means new and improved laws for the Commonwealth of Virginia. So, for my fellow Virginian’s – especially the attorneys, realtors, and lenders – I write today to draw your attention to some of the recent changes to Virginia law governing real estate transactions. In particular, I’m looking at deeds. First, let’s deal with the easy one. § 58.1-802. Additional tax paid by grantor; collection. Subsection A of this section of the Code of Virginia has been amended to require that for all deeds presented before the Clerk of the Circuit Courts for recording shall have “the amount of the consideration  stated on the first page of the document to be admitted to record.” So, check your deeds and make sure that, for example, the amount that was paid for the house at issue is stated clearly at the beginning of the deed. § 17.1-223. Duty of clerk to record writings, etc., and make index. (emphasis added). In other words, deeds must include an indicator of who drafted the deed or risk rejection by the clerk. However, note also that the use of the words “shall be” forbids this notification if the documents were prepared by someone in another state (or sovereign jurisdiction, such as Washington, DC). “Shall” is the way lawmakers and contract drafters create mandatory terms. If this exception were optional, the statute would have said, “may.” So, let’s see what else changed. (emphasis added). So what does this say? It says that unless there’s an indication of the name and, if applicable, bar number of the person that drafted the deed right on its face, there’s a risk that the deed will be rejected by the clerk. But didn’t the prior excerpt forbid exactly that for deeds drafted out of Commonwealth? Yes, it did, which means that if you draft a deed from out of state, you run a risk that the deed will be rejected. The only reason I can fathom for this combination of amendments is that the Virginia legislature didn’t want people – even attorneys licensed in the Commonwealth of Virginia – to be able to draft deeds if their offices are outside the Commonwealth. Without reviewing the audio transcripts of the discussion of the bill by the lawmakers, it’s impossible to know if that was the legislature’s intent, but if it was, I’d say the risk of rejection is high (probably 100%). I doubt the bean counters in the Clerk’s office are going to want to rock the boat. Whatever the intent of the legislature or the clerk’s offices, the safest course of action under the text of the statute is to have your Virginia deeds prepared by an attorney physically located within the borders of the Commonwealth of Virginia. Any other approach is done at your own risk. If this sounds like a self-serving conclusion on the part of an attorney practicing within Virginia’s borders, it’s because it is, though I’m not the “guilty” party. This is likely just in-state bias, designed to protect the Commonwealth’s attorneys, and by extension, the Commonwealth’s economy. I guess I should thank the lawmakers for protecting a source of income, but that doesn’t mean I’m going to say it’s actually necessary in order to protect the interests of my clients. Out-of-state drafting isn’t a dangerous practice, but even if it were necessary to visit real property to do my job (it certainly is not), to my recollection I’ve never been to Pittsylvania County. So how am I any better suited to deal with properties there than a Virginia attorney who’s located just over the border in North Carolina and frequently visits the county? In fairness, though, even if my assumption is correct as to intent, this wouldn’t be the first time Virginia law favored in-state attorneys (see, for example, the reciprocity rules for out of state attorneys wanting to waive into Virginia), nor can this be seen as an oddity among the laws of other states. Every state protects its own sovereignty in a wide variety of ways (perhaps even in the way discussed here), and if they’re all doing it, than Virginia needs to do it to keep things even. This shouldn’t be considered crooked, dishonest, or surprising, but it is what it is. Recently, the Supreme Court of the United States resolved a split in the Circuits with respect to 12 U. S. C. §2607(b), a provision of the Real Estate Settlement Procedures Act (“RESPA”). As we all know, RESPA regulates the market for real estate “settlement services,” which is defined broadly by the statute to include not only settlement itself but also “any service provided in connection with a real estate settlement.” 12 U. S. C. §2602(3). Among RESPA’s consumer-protection provisions is §2607, forbidding the giving or receiving referral fees or “any portion, split, or percentage of any charge” related to a settlement unless the receiver had actually rendered services on the deal. In 2008, the plaintiffs (three married couples) sued Quicken Loans for charging fees for which no services were rendered, which became Freeman, et al. v. Quicken Loans, Inc., 566 U.S. ___ (2012). Specifically, the plaintiffs collectively sued over Quicken’s loan discount, processing, and origination fees that were not accompanied by an offer of lower interest rates for the plaintiffs’ loans. In other words, the plaintiffs argued that these fees weren’t tied to a particular service rendered. Quicken was granted summary judgment on the grounds that these allegations fell outside the scope of the prohibition of §2607, which forbids only fee-splitting (as opposed to unearned fees). The United States Court of Appeals for the Fifth Circuit affirmed. Justice Scalia delivered a unanimous decision of the Court, which affirmed the summary judgment. Justice Scalia noted that the plaintiffs’ rationale that §2607 was intended to limit unreasonably high fees was inconsistent with legislative history. In particular, upon passing RESPA, Congress directed the Department of Housing and Urban Development (“HUD”) to make a recommendation within five years of RESPA’s passing as to whether further legislation was necessary to regulate settlement fees. The clear implication, therefore, is that RESPA itself didn’t already do that, which is in direct contrast to how the plaintiffs were asking the Court to interpret RESPA. In summary, a violation of §2607 requires proof of allegations of the splitting of a provider fee by two or more parties, at least one of whom must not have rendered services justifying their share of that fee.